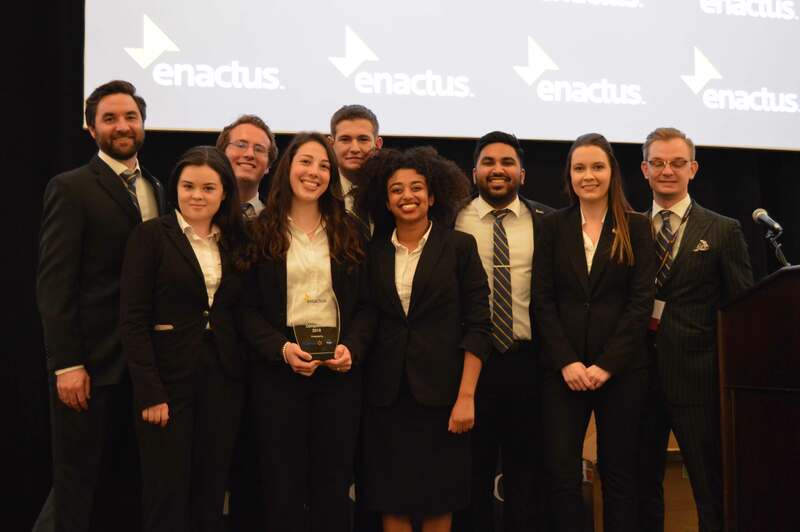 The UMKC Enactus team continues its tradition of success. The team of first-time presenters took top prize at the regional competition in Chicago, Ill., qualifying them to compete at the United States National Exposition. The national competition is being held locally, taking place at the Kansas City Convention Center May 21-22. If you want to celebrate the Enactus team’s success, the UMKC Enactus End of Year Celebration will be held Tuesday, May 1 from 5:30-6:30 p.m. at NBKC Bank. To attend, please RSVP here. This entry was posted in Archives by Megan Cooper. Bookmark the permalink.